Fleece track suit inspired by archive football style. Ignited by the flame of football. 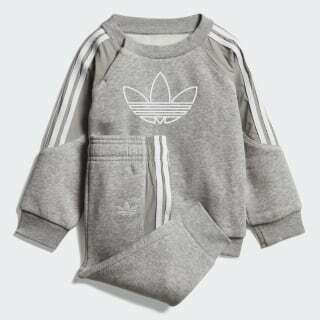 This infants' track suit mirrors the adult version. Archive style is showcased with curved 3-Stripes panels on the sleeves and legs. 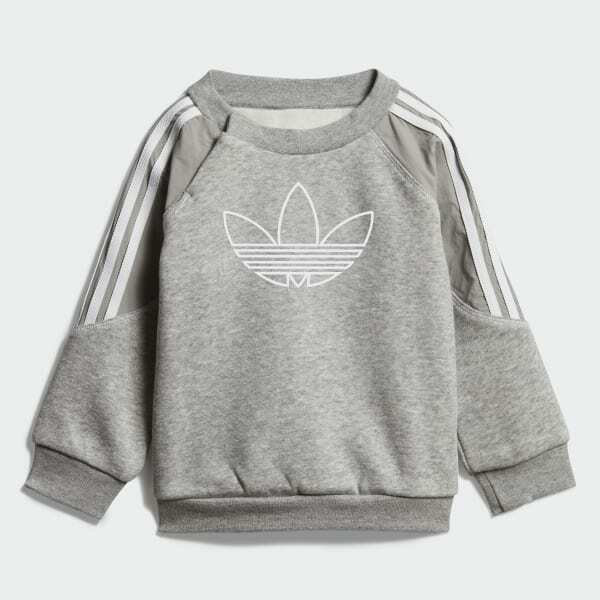 Both pieces are made of a cotton and recycled polyester fleece for a soft, warm feel.